In order to satisfy consumer demands for their food to be produced a more “humane” manner the retail outlets are pushing the egg industry to change housing systems. 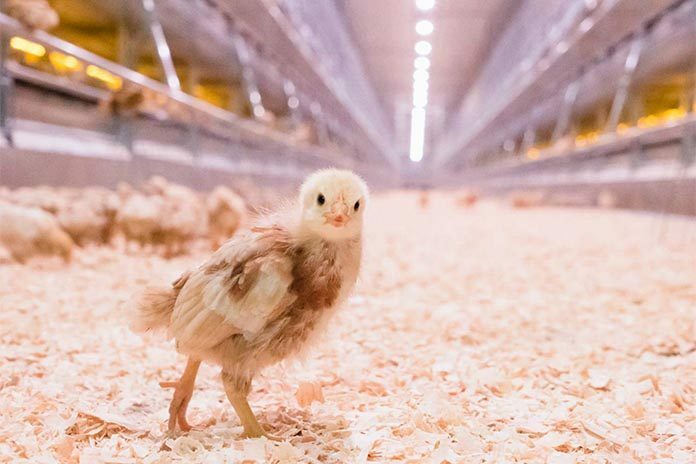 The shift in the egg industry to more extensive housing systems such as Enriched Colony Cages, Aviary/Cage-Free and Range are having impacts far beyond the housing management. This is also affecting how replacement pullets grow and utilize the nutritional resources we provide them, which carries over into the production phase and how we need to evaluate the phase feeding programs used. As the egg industry evaluates nutritional programs for the pullets and layers, there are more variables to evaluate other than skeletal development, and body weight, nutritionists now have to deal with the increased activity levels in the cage free systems, greater environmental temperature variation, and smaller body weights of laying hens to name a few. Replacement pullets are a key to having a high performing laying flock. This means that pullet growers have to pay closer attention to the growth and development of these birds and simultaneously be aware and responsive to the factors which today can change rapidly with potentially negative impacts on pullet quality. The question today is: how do we feed the pullet in different environments? This is not a presentation on diet formulations, but it is rather an insight into potential problems in rearing and production that if we don’t keep these in mind can cause bigger problems negatively impacting growth and/or production. The Author has been working with some of these issues for about 9 years now within the NC Layer Performance and Management Test (NCLP&MT). The Author and his colleagues have transitioned to alternative rearing and production systems to evaluate how current laying stock responds. The first issue is feeding the pullet in 3 different rearing systems in order to achieve the breeder body weight guidelines. Pullets in cages grow differently and as such have varying needs from those in the cage-free and range at the same ages. This can become challenging since part of the objectives of this extension program is to evaluate the strains under the same variables or conditions. Since the Author utilizes a 3 Phase Rearing Dietary Regimen it can be challenging especially when the rearing environment temperatures can vary as much as 20 degrees after the brooding and the different space allocations used. Monitoring the body weights become more important especially as Author and his team try to reach breeder guidelines under highly variable conditions. Transitioning from the starter through to the developer feeds becomes challenging especially with 19 different strains. What Author and his team have seen from the Grow Reports of 39th to the 40th NCLP&MT is the impact of the environmental influences on protein and energy consumption. 4) Evaluate the uniformity of the flock with the goal being 90% of the pullets weigh within ± 10% of the mean weight. Depending on what you see diet changes, reformulations, or other husbandry practices may need to be implemented at different points in the rearing phase. Bringing pullets into lay is a very stressful period for the bird. The pullets are still growing as they come into production in both skeletal and muscle. In addition, the hormone profile of the bird is changing and development of the ovary and oviduct are accelerating prior to the onset of egg production then add in the fact that we are changing the diet to meet protein and Ca needs. It has been documented that when diets are changed the birds will have a level of feed aversion until they become accustomed to the new diet and 4 days prior to the first egg feed intake drops by about 20%. 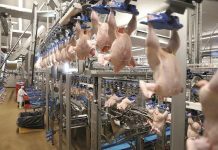 This is followed by rapid feed intakes right after the onset of production then continuous feed increases throughout the production cycle. The nutritional needs of the laying hen are of primary importance. 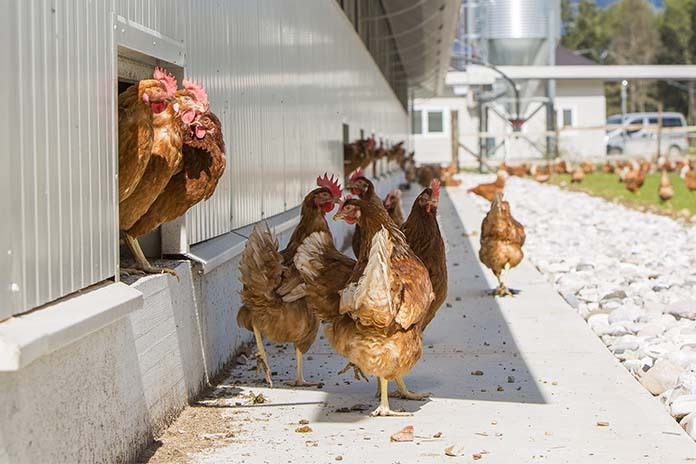 The diets we feed must provide for the continued hen growth and production, however, bird activity and outdoor access if not accounted for in the formulation process can negatively impact the hen’s productivity. In both the cage free and range systems you have to account for the increased activity of the hen. Then in the range system there is even greater activity, feather replacement and cooler temperatures. All of these variable components can lead to a pause in production due to the lack of nutrients and energy provided to the hens as they progress through the first peak in production. 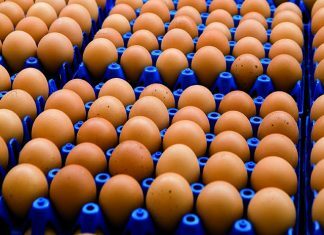 In a conventional system hen is consuming 110 g/day of a 19% crude protein diet, (21g of protein), 57% is devoted to egg production, 17% to growth and 21% to environmental needs with the balance of 5% to extraneous needs and waste. In both the White and Brown Egg Layers in the 38th NCLP&MT the conventional cage hens consumed the most protein and energy over the course of a single cycle production cycle. The productivity was not significantly different the across the different production systems for the average production and feed conversion of the white and brown egg strains. However, in the 39th NCLP&MT the cage free hens consumed the greatest amount of protein and energy followed by the enriched colony cage and then the range hens. There was a difference in production traits with the poorest performance in the enriched colony cage system, primarily due to the high mortality levels. The other production systems were similar in production traits and mortality levels. 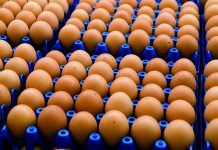 We are embarking on a major transition in the egg industry with the transition from cages to cage free and to range production in the case of organics. 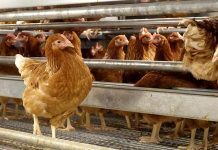 Nutritionists need to keep in mind the impact of the environment contributing to the physical activity of the hen, and ambient temperatures on nutrient utilization and partitioning taking place in the hens. Can companies react quickly enough in these situations to meet the needs but not overfeed protein and energy in the hens? Challenges are many and they will continue to evolve as we progress through this transitional period.